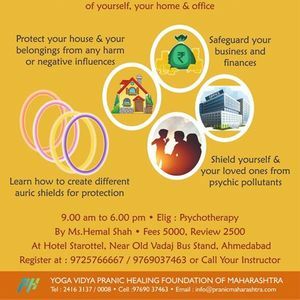 Pranic Psychic Self Defense is specially tailored to protect you from negative and destructive energy patterns. 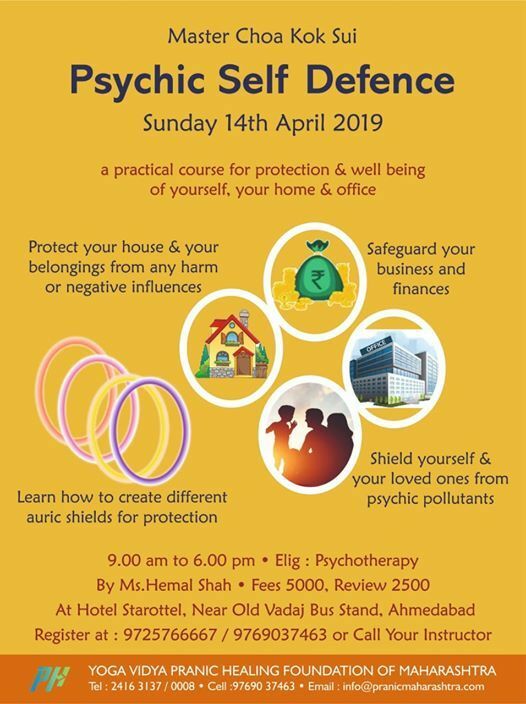 The course offers simple, effective and practical remedies to psychic problems encountered by most people. It teaches several ways to shield one's self from projected negative thoughts and psychic contamination by fashioning and strengthening the human Aura; removing negative energies and vibrations from psychically dirty places; reinforcing psychic defenses through counter attack and counter defense methods; knowing how to deal with black magicians; taking corrective actions when a person has been psychically penetrated; and other never before known techniques. Guarding against the four critical factors that can weaken the energy shield.